Make sure you check out day 1 and also day 2 of this challenge – I’ve done two of my all-time favourite quotes. I was tagged to do this by Louise @ A Little Fool Reads. The quote that I’ve chosen for my final day of this challenge is from a series that changed my life, and this quote really reminds me why I keep on writing. Words are, in my not-so-humble opinion, our most inexhaustible source of magic. Capable both of inflicting injury, and of remedying it. I’m quite mediocre at a lot of things. I would say that the only thing that I’m truly good at is writing. For a world that shits on writers a lot, we sure read a lot, talk a lot, and our whole lives revolve around words. I’ve watched readers of my work laugh and cry, and I think that that’s unbelievably magical, powerful, and comforting to someone who feels lost most of the time. …words have the power to change us. This time, I would like to nominate YOU, the person reading this. Over the past three days, I’ve really bared my soul through these quotes, and considering the sentiment I’ve written about above, I would love for you to do the same. There’s a catch, though – if you decide to do this challenge after seeing me do it, I would love it if you posted your blogs in the comments so I can read which quotes you chose! They don’t have to be as pretentious as mine are! Make sure you check out day 1 of this challenge – I did one of my new favourite quotes from Eliza and her Monsters! I was tagged to do this by Louise @ A Little Fool Reads. Every step you take forward is another step you never have to take again. This is a line from a song from Frank’s album ‘Positive Songs for Negative People’, and it’s a line that’s carried me through the past few months (and even well before then, since the song itself came out in 2016!). I’ve been struggling with various issues, and honestly this line has been like a mantra that I’ve repeated over and over again in my head. I know it’s not bookish, but I really wanted to share it with you! I did this challenge a couple of years ago, and I was nominated again by Louise from A Little Fool Reads, so thank you very much for nominating me! I think [writers] always do [have an ending], somewhere in our hends, even if we don’t seriously consider them. Like life, what gives a story its meaning is the fact that it ends. Our stories have lives of their own – and it’s up to us to make them mean something. To me, this quote is really powerful, and I truly love it, especially the final two sentences. It means a lot to me, and really hit me in the chest when I first read it. I had to pause and reread the quote a couple of times, and after I finished the book I typed it up on my typewriter and carry it in my journal with me, and it takes a lot for a quote to rattle around my brain constantly like this one does. Thanks so much for reading, and make sure to check back tomorrow for another quote! Hello friends! Today I am bringing a book tag that I found on Thrice Reads, and I thought I would give it a go too because I’m bored and watching Doctor Who and what’s more fun doing a tag when the world’s about to be destroyed again? About two days in all honest, but if I’m in a reading slump it could be a week or so. At least one… but quite often two. Nope, I’m happy to pass them on! If I read it and it wasn’t my favourite, I’ll quite often pass it on to someone else, or if I just don’t think I’ll read it, I won’t keep it forever. There’s no point in that! At least half an hour, but me and my friend Natalie spent about 3 hours in Waterstones the other day, so it honestly depends on what I’m there for. It can honestly depend. Today I spent a couple of hours, about an hour yesterday; and I’ll fairly frequently (lately, at least), pick up a book at 11, 12, 1am and read until like 3, but because that’s at a weird time in the day I hardly ever count it as proper reading! If I don’t have anything on, probably about 11am and then beyond; or sometime after dinner, if I don’t have any work. At least once every…. ooh, ten minutes or so? Game of Thrones, or Harry Potter and the Order of the Phoenix. I’m not sure which is bigger and I can’t be bothered to look it up right now, to be quite honest. I don’t think so, although I’m always looking for old editions of William Shakespeare and other books, because I find them fascinating. Really cut down on my unread books that I’m actually never going to get to… I simply have too many books! Probably not, although I won’t stop trying. Necessities in a paper format. I’m a pretty big mood reader, so I just pick one that looks good and fits the mood I’m in to read. OR if I have to read one for university or a readathon, I choose that one instead! I used to be someone who would force myself all the way through, but nowadays I just tend to put it down if I’m not enjoying it. Having said that, if it’s a short book, I might carry on, just to see if it gets any better. Oh, and putting it down doesn’t mean that that’s it – sometimes I’ll try a book I DNF’d again in the future. Yes normally I do! I mainly just pick short books, comics, that kind of thing, and just try to get them read! I love reading short books too so that’s an added bonus. Eeeek, it’s so frustrating when they don’t but honestly not that big of a deal. It’s annoying when sizes don’t match as sometimes some books can only fit on certain bookshelves and when you have one hardback in a series of paperbacks… yeah, it’s frustrating! My bookish bestie Natalie! Either that, or I just rant online on this here blog. To be honest, I just hide my face behind a tissue and cry. I’ve been known to do that! Hmm, not often. Maybe. I mainly just try to find a summary, or I just jump straight in with the sequel and hope for the best! I mostly don’t have a problem with people borrowing my books, unless it’s special (eg if it’s a signed book I’ll only lend it to people I really trust, not just anyone!). But if they did ask and I wanted to keep it… to be honest, that hasn’t happened before, so I don’t really know! I take a break. I’ve been in quite a few slumps lately – I’ll read maybe 5 or 6 books in that many days, and then I don’t read anything for a week or so. Afterwards, I’m always raring to go! Um… far more than my bank account thanks me for, I won’t lie! It depends what book it is. Sometimes, it can take a looooooong old time, but others really not that long. Right now I have actually quite a lot sat on my shelf because I’ve been really struggling to stay focused on reading lately, so just haven’t tried to be honest. I’m hoping to get to all of them (I have about 6 or so) in the next month, though. So there is the Reader Problems Tag! I hope you enjoyed it. Here is a link to the original, which started as a YouTube video, although question 3 has been changed in the version I found! I’ve been nominated for a few blogging awards over the past few months, and thank you so much to Jenn @ Bound to Writing for nominating me for the Mystery Blogger Award! 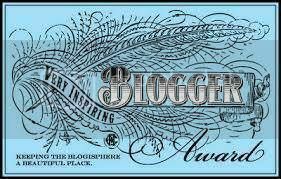 The award is designed to give smaller blogs recognition (aww) and is named after the creator of the award! I am a second year university student studying English Literature and Creative Writing. I am currently reading Pride and Prejudice by Jane Austen. I am studying Shakespeare this semester and I’m so excited! Have you ever secretly (or not) liked a character more than your own partner/best friend? I’d have to say that right now, it’d be Percy Jackson, although Harry Potter is also so important to me too! Argh, what a tricky question! Definitely the Malory Towers series! Although if it was just a singular book, it’d be the novelisation of Peter Pan by JM Barrie. I don’t really play video games sorry! I absolutely love watching my housemate Kiefer play NieR:Automata though, and I’m hoping to play it when I get back to my university accommodation. Bookmarks! I absolutely adore them, although I’m currently loving my book sleeve too. I’m nominating my friend Natalie @ Bookographic, because I think she’s a really great blogger, but I’m also nominating anyone who’s reading this! 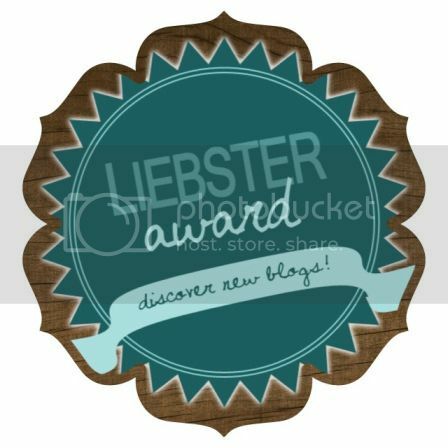 This award is called the mystery blogger award, and if you do do this award from this blog post, I would absolutely love it if you tagged me on Twitter or on this blog, because I love discovering new blogs! Hello all! When sorting through my makeup the other day, I was thinking of which makeup I would keep if I only had the essentials. Admittedly a bizarre thing to think about, but I was THEN thinking about the things I think are essential to books… and this tag was born! If you’re tagged, I would love for you to link back to this original post even if you weren’t tagged by me! Enjoy the tag! Concealer/foundation – the basis: what’s one thing you MUST have in a book in order to enjoy it? I think assertive characters! I really hate characters who are so wishy-washy and can’t ever decide anything! Powder – keeps it all intact: your favourite setting? Brows – filled in or left: hardback or paperback? I definitely prefer paperback, and if I have to be specific? Floppy paperback! However, having a hardback is always a special treat, and I do love them to. Eyeliner – the flick makes it: your favourite plot arc? My favourite plot arc is definitely one that continuously has climaxes throughout the book. I love it when you have mini climaxes throughout and then a big one, and then sometimes at the end we leave with the high stakes! However, I do like the plot arcs that finish on a high. Mascara – adds a little bit extra: something that’d bump a book from 4 to 5 stars? Highlighter – some brightness to the mix: what turns a character into your favourite? Motive! For example, characters like Loki – he’s obviously a complete mischief maker, but he has motive! Characters NEED motive, no matter if they’re a “good guy” or a “bad guy” or something in between. On the lips – the finishing touch: a book that left a lasting impression! For me, this book would have to be Malory Towers by Enid Blyton. It’s definitely the series that got me into reading, and for that, I have a lot to thank Enid Blyton for! And YOU! I know that this is a bit of a cheat, but if you think you’d like to do this book tag, please feel free! I would love to see your answers, so feel free to link back in the comments, or Tweet me! Oh – and here’s all of the questions in a handy dandy list for y’all! Thanks so much for reading! I hope y’all enjoyed it! Hello, I’m bringing you all a new tag today! This tag was created by Jenn @ Jenniely, so thank you very much for tagging me Jenn! So the point of this is for you to tick the ones you’re guilty of, and see if you’re on the naughty list! Yup, I am 100% guilty of this! Although, well, when you say ‘not reviewed’, I’m assuming that that means ‘read’… I definitely review every ARC that I read! Yup… my current feedback rating is 38%. Oops. Nope! I review on my blog first and then on Goodreads. Yes, I always used to dog-ear pages before probably I was about 14 ish, but now I don’t like to because it makes the pages fragile and I don’t really want to rip any pages. You joking? I once dropped a book in the bath. Yup! I’ve become far more aware about not reading things I don’t want to recently. I’m going to say no to this one, because whilst I have bought books because they were pretty, I always have the intention of reading every book I buy. I mean, come on. Duh. Um, I’ve read quickly, which I guess is technically skimming, but only because I’ve been reading so fast! I have no idea. I’m behind this year, I have 7 books left to read, but I’m really hoping that I will be able to read all of those by the end of 2017. So bloody many times. It’s actually ridiculously annoying, so if publishers could cease releasing books for a year or two, that would be amazing, thank you. I once tried to review a book like two YEARS after I read it, and let’s just say… I never actually reviewed that book. Yeah, so this year I’ve actually discovered annotating, and I actually really enjoy it. I don’t really annotate in books, but always in my Little Black Classics. Nope! I’m pretty good at always adding stuff to my Goodreads account, even if it’s a few days later than when I actually read it. I tag: Natalie @ Bookographic, Jenn @ Bound to Writing, and Michelle @ The Writing Hufflepuff! Once again, thank you so much to Jenn for tagging me! If you didn’t know I LOVE Harry Potter with a passion; so here is me chatting about it! For years, I assumed i was a Gryffindor. I was sorted, in multiple quizzes including the Pottermore one, into Gryffindor, but when I got into college, I started to be Sorted into Ravenclaw 24/7. So now I say Ravenclaw! My Patronus is a Tonkinese Cat! So cute, but I don’t know much about them. My wand is: Spruce Wood, with a Unicorn Hair core, 14 1/2 inches, and Quite Bendy! I think my Boggart would simply be the nothingness of the world. I am terrified of nothing, of being forgotten. I think I would be a Chaser! I actually played Quidditch at sixth-form college, and this was the position I played. What job would you want once you left Hogwarts? I would love to be an author of course, but maybe working in the Daily Prophet? If not, for the protection of magical creatures in the Ministry for Magic, including werewolves and vampires! I honestly don’t know! I think that I would choose the Invisibility Cloak. The Resurrection Stone never really brings back a person, and the Elder Wand… well, unless my wand was somehow broken, I wouldn’t need it. Whilst the Elder Wand is the most powerful wand, surely it would only be the most effective wielded by the most powerful wizard. Uh… I haven’t recently re-read books 5-7, but perhaps book 6, Half-Blood Prince. Hmm, what a surprise – Prisoner of Azkaban! Half-Blood Prince or Chamber of Secrets. Sorry, but I really hate Snape. Well, I’m not even sorry about that. Hello, you pink ball of hatred. Also you slimy ball of hatred. The sad thing is, Potterheads understand exactly what I’ve just written. UMBRIDGE. Need I say more?! Do you have an unpopular opinion about the series? Hmm… Perhaps that Ginny shouldn’t have let Harry name their children. This isn’t the blog post to explain how much I love Harry Potter, but I think an epic blog post is brewing about it. It’s something so incredibly important to me, and means such a lot! And if you were wondering – you can totally do the Harry Potter tag yourself! Check out the Blogmas 2017 Masterpost! Hello all! Today I bring a new tag. I was tagged by the lovely Bexyish to do the bookish this or that tag (original by DayDreamersThoughts). Thank you so much for the tag! Text book! This answer is pretty easy for me. I do like audio books but I really struggle with finding the time to listen to them – I like to have something in my hands! Ooh, I’m really not sure with this one. I actually love reading hardbacks, but paperbacks are a lot easier. I think if I had no choice ever again (and money was no object!) I would pick hardback – however, paperbacks are usually so much cheaper. It’s going to have to be fiction! I love learning, but fiction takes my heart. Well, I do love online – it’s cheaper, usually, and you can [almost] always get the book that you want. However, nothing quite beats going into a bookshop and bringing your new book babies home with you that day! eek this one is so hard! I absolutely love The Infernal Devices, and also trilogies like the Grisha trilogy. However, I often feel like there’s usually at least one weaker book in a trilogy which can make or break the whole thing *coughthehungergamescough* so I’m going to go with standalone. To be honest, this completely depends on the genre. I love an in-depth, thousand-page-long fantasy novel… but a contemporary of that length better be a bind up of three books, else I’m not reading it! Reading somewhere cosy, or in the sun? This would definitely be somewhere cosy. I love snuggling up under a blanket on the sofa with a book and a hot chocolate! In the sun just doesn’t really cover it – I get the glare from my glasses, I get burnt, I get sweaty, and the book gets hot! So yes. Somewhere cosy please and thank you. Coffee. Now, please and thank you. I do love a hot chocolate, but coffee is what I’m craving right this minute seeing as I am entirely exhausted.